Christmas is fun, and it is one of the loveliest periods in a year. 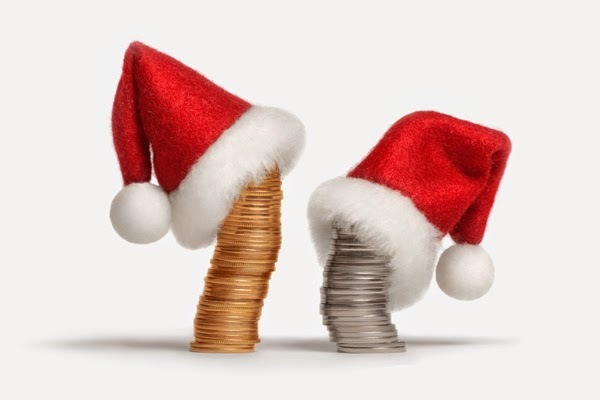 However, if you are in saving mode, or if you are a little short on cash, you will want to do all you can to stay within a tight budget and ensure you are not left nursing financial wounds in January. This infographic highlights some quick tips on how you can spend less over the festive period, whilst still having a great time. Why spend silly amounts of money on Christmas decorations when you can buy the raw materials and make your own? Your own creations will be personal, unique and cheap. On top of this the whole family can have a great time making them. You should avoid shopping for anything possible during the Christmas season. The earlier you buy most things the better, as prices of most Christmassy things rise in mid to late December. There is lots you can buy well in advance. Plan your shopping wisely. Shopping online will save you trips to the High street and will help you pick up bargains. Avoid clicking buy now too much, and shop for specific people within a specific budget. Focus on items that the receivers will really love; things that will mean something to them. If you know them you shouldn’t have to spend the earth. Christmas is a time of love and sharing. It should not be a time of remorse and guilt over your spending. By setting a budget and then braking it down into what you need to buy you will feel in control, which will make for a happier time for you and your family. Don’t be a misery guts this Christmas. Use these tips and spend sensibly.